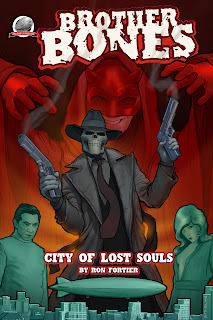 Airship 27 Productions is thrilled to announce the fourth title in Ron Fortier’s daring new pulp series featuring the Undead Avenger, Brother Bones. “City of Lost Souls,” continues the saga of Cape Noire’s supernatural protector, the relentless skull masked vigilante who exist for only one purpose; the utter destruction of evil. 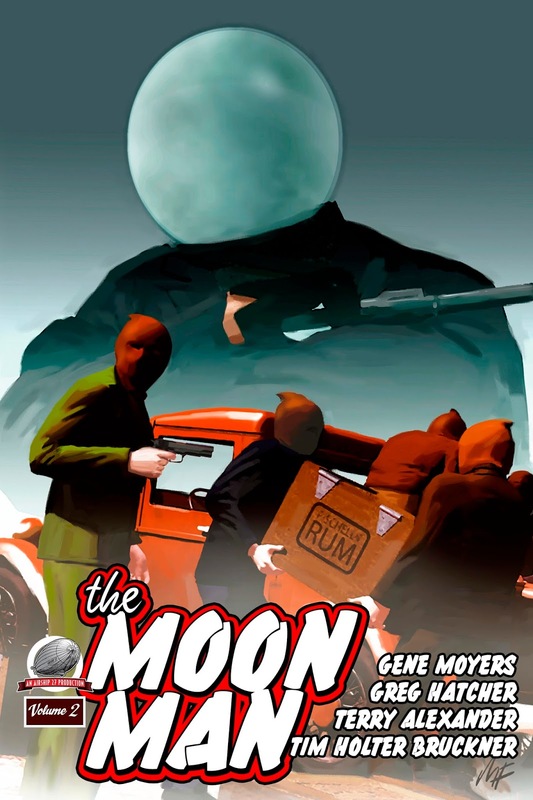 In the past three volumes, pulp fans were introduced to Tommy Bonello, a cruel sadistic hitman who found himself cursed with a conscience and then was murdered by his own twin brother, Jack. But hell didn’t await the slain gunman, rather his soul was chosen by the Cosmic Fates to return to the land of the living and there become the gruesome avatar of justice, Brother Bones. The vengeful spirit complied by taking over his brother’s body, effectively ending Jack’s life and thus becoming an animated zombie. Starting with “Brother Bones The Undead Avenger,” the character burst on to the New Pulp scene over ten years. His remarkable debut was followed by a full length novel, “Brother Bones – Six Days of the Dragon,” by author Roman Leary, working under Fortier’s guidance. The following year saw the release of Fortier’s second collection, “Brother Bones – Tapestry of Blood.” Now comes the long awaited fourth book, another anthology featuring five gripping tales of murder, mayhem and the unstoppable Undead Avenger. Joining Fortier to provide ten black and white illustrations is Rob Davis, Art Director for Airship 27 Productions and super graphic artist Michael Stribling created the beautiful stunning cover. And this new book is soon to be followed by a brand new role-playing game module, “Ron Fortier’s Cape Noire” from Scaldcrow Games due out within a few weeks. The popularity of Brother Bones continues to grow and these new entries are sure to add to that momentum. AIRSHIP 27 PRODUCTIONS – PULP FICTION FOR A NEW GENERATION!! 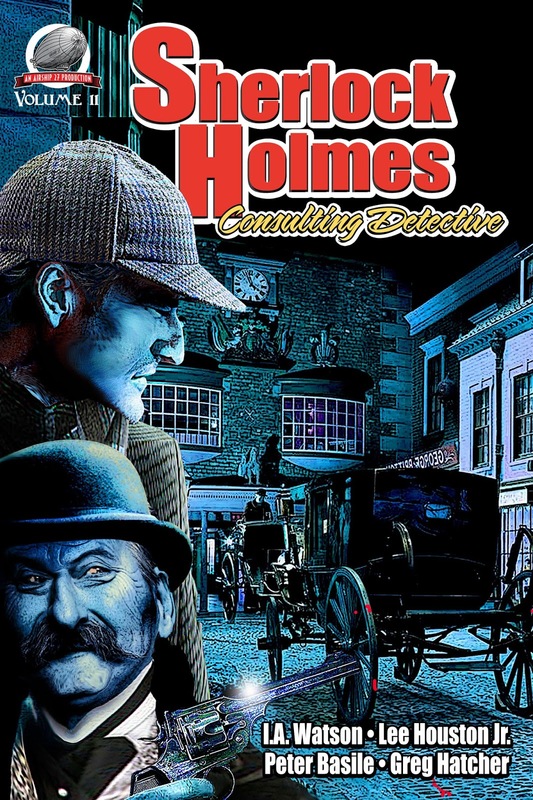 Airship 27 Productions is thrilled to present in the 11th volume in its best selling mystery series, “Sherlock Holmes – Consulting Detective.” All of them new and never published before. A woman’s remains are found in the newly excavated foundation of what will become the New Scotland Yard. The missing painting of a dead woman leads to unraveling a devious conspiracy. A U.S. Deputy Marshal is in London chasing a vicious and elusive criminal. A sadistic serial killer leaves the authorities puzzles before each of his killings. 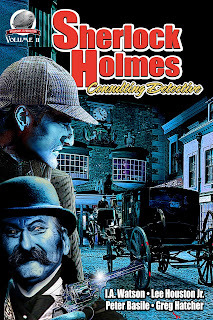 Four unique and original case to challenge Sherlock Holmes and his loyal companion, Dr. Watson as delivered by writers I.A. Watson, Lee Houston Jr., Peter Basile and Greg Hatcher. Denver artist Laura Givens provides the outstanding cover and Art Director Rob Davis the twelve black and white interior illustrations. Once again the streets of London are hidden behind the fog of crime and villainy. Yes, indeed, the game is once again, afoot! Airship 27 Productions is proud to announce the release of the third volume in their series, Allan Quatermain – The New Adventures; based on the classic hero created by H. Rider Haggard. 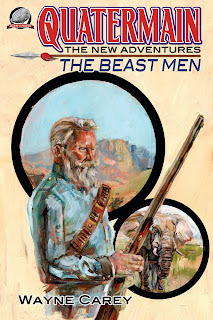 “Allan Quatermain & the Beast Men” is a full length novel by writer Wayne Carey. When all the villagers of several veldt kraals mysteriously go missing, Allan Quatermain finds himself embroiled in one of his most baffling African adventures. Whispers among the Zulus claim weird beast men, half-human and half-cat, are responsible for the abductions. Quatermain and his companion Mnqoba begin their investigation skeptic of the rumors but at the same time baffled by the unexplained disappearances of so many so quickly. Their mission leads them to a ranch owned by British Doctor Emerson Blake and his beautiful wife Emma. Both scoff at the stories of the beast men and do their best to convince the famous hunter that there must be a logical explanation. Quatermain is almost won over when, after a new attack by the creatures, Mnqoba is counted among the missing. Now he must confront the reality; someone or something has brought death to Zululand? Writer Wayne Carey whips up a thrilling old fashion adventure yarn featuring one of the most endearing heroes in all of literature. British artist Graham Hill provides the cover and graphic illustrator, Clayton Hinkle, the nine black and white interior illustrations. 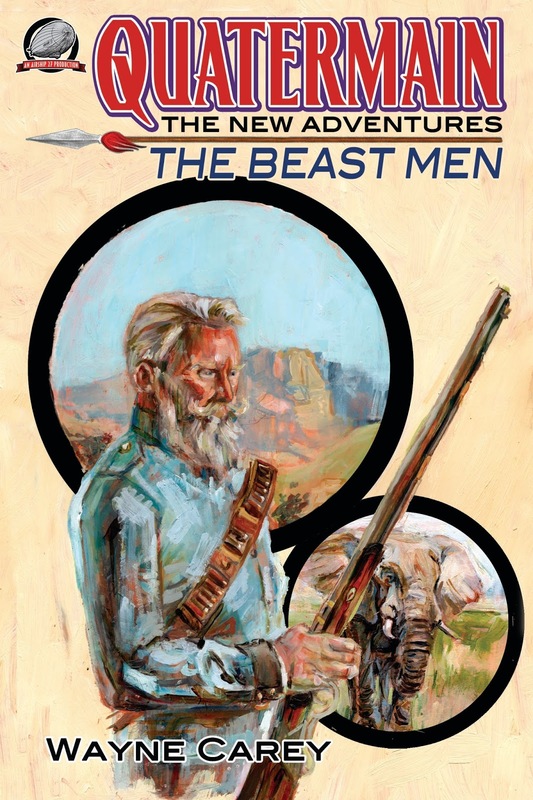 “Allan Quatermain & the Beast Men,” is pure pulp action from start to finish.